Derek W. Barchenger (USA) joined the World Vegetable Center in August 2017. 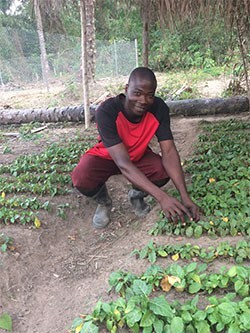 During his PhD training, Derek received a Borlaug Fellowship and spent his six-month term at WorldVeg headquarters working in breeding for disease resistance in pepper. He has extensive experience in international agriculture and food security. Derek’s research focuses on developing more nutritious vegetable cultivars resistant to disease, pests, and environmental stresses.